Although I have been working as a professional organiser for 4 years, and many of my colleagues have been in the industry over 12 years, people still have no idea what a professional organiser does. In this series of case studies, I’ll shed some light on the people I work with and how the work I do makes a big impact on their lives. Fulltime working Mum. Fulltime stress! When I arrived at the house of the client in this particular case study she seemed anxious and buzzing about doing last minute things. She was talking in this manner too (scattered, rushed, frazzled). She then explained the challenges at home and the reasons for this stress became obvious. She explained she works almost full time hours, with a little bit of flexibility. Each evening and during her time off, she picks up after everyone else and it really makes her mad. This resentment plays on her mind often. She’s decided to make some changes, and hence, picked up the phone to me. My client has two children, one in prep and the other in grade 6. It quickly became apparent that it was the kids’ stuff that was causing her the most grief. We talked about putting some new boundaries in place, most importantly reducing the amount of toys in the living areas. We also spoke about storing some away to be periodically rotated. Lastly she would charge the kids with their own pack up. She liked the sound of this. We decided to reduce the amount of craft on offer at any one time, so if the daughter unpacked everything, it would be an easy job for the daughter to pack up again. My client loved this idea and packed away 75 % of the craft. On the client’s suggestion we worked to pack up all the pencils and Textas in individual bags. The excess craft went into a tub so her daughter would need to ask to use them. We put special projects away too which required parental supervision. We worked through a number of areas of the home in the same way during this session. Gathering items into one space that didn’t belong in that room, sorting them into like items, decluttering when the items were no longer needed, and then returning the kept items to their permanent home. The few hours we worked together in this way was really productive. Now that new boundaries were in place as to how much stuff is on hand and when the projects could be accessed, my client could see how she would start to reinforce some new rules to help manage the stuff around the house. She also vowed it would be her kids picking up after themselves in future. Having less on hand means there is less to pack up in the morning before school, or after dinner etc. My client was relieved and had a twinkle in her eye by the time I left this session and she tells me they are all still benefiting from resetting the boundaries in this way. Where do the boundaries in your home need resetting? Have a go at storing some of the kids toys so they can’t have everything out at once. Book at time for a 20 min, obligation free chat here. Take the plunge and invite me to work one-on-one with you in your home so you too can experience the weight being lifted off your shoulders – You can book me here. Outside Melbourne – no problem, we can work together over the phone – find out more here. Who is Julie Cliff, Professional Organiser, Melbourne? Busy, stressed, overwhelmed? 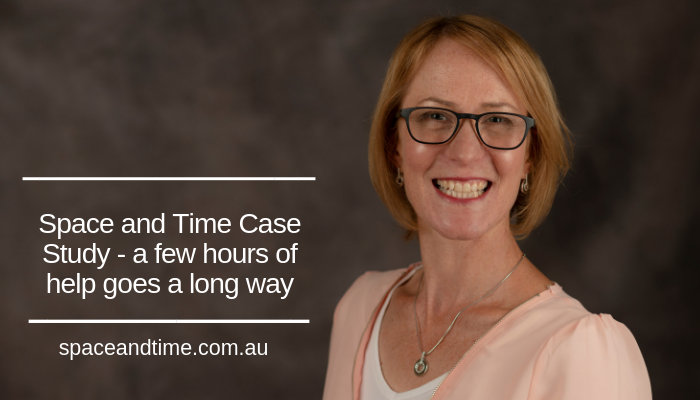 Julie Cliff is a professional organiser who shares the practical tools to help professional working mothers feel calmer, happier and less stressed. Inject space and time into your life by creating a welcoming, clutter-free space and developing an effective, calm flow to your days. Life is simpler and more fun with a little more organisation.